This article is adapted from a recent public inquiry pointing out that there is no entry for the first-born of Jacqueline Kennedy under the section marked “children” in her National First Ladies Library online biography. 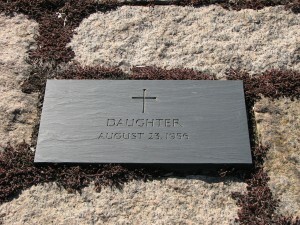 In 1963, when the child’s remains were later transferred from a local Catholic cemetery in Newport, Rhode Island to be placed alongside those of President Kennedy and the infant Patrick Kennedy, the widowed First Lady did not want a gravestone marked with the informal “nickname” which she had given her. It is not even clear that President Kennedy was aware of this “name.” Nor was Jacqueline Kennedy known to ever make a written record of this name; it was simply a reference spoken among those with whom she was closest at the time. She made no known further mention of the name after the initial period of loss. Naturally, the loss of any child is a traumatic experience, perhaps a first one in particular. 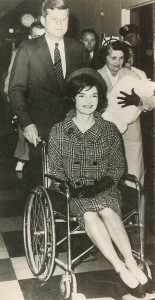 In later editing the book A Thousand Days by her friend, historian Arthur Schlesinger, Jacqueline Kennedy affirmed that she and the President had “five children in ten years,” which he interpreted to be an understandably defensive view from her perspective, having been pregnant with that many children in that number of years. She made this remark, Schlesinger thought, in reaction to comparisons often made between her and her sister-in-law Mrs. Robert F. Kennedy, who gave birth to eleven children, all of whom lived to adulthood. The other “child” which Jacqueline Kennedy referred to was actually a miscarriage she suffered, also an experience before the birth of her daughter Caroline in November 1957. 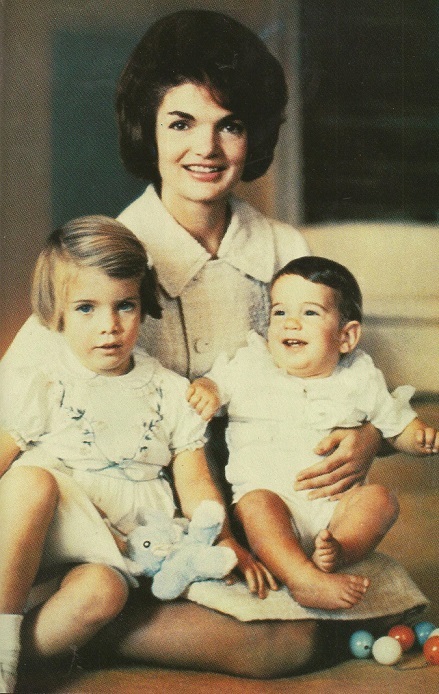 Along with her son John, Jr. who was born after his father’s November 1960 election to the presidency but before his January 1961 inauguration, Mrs. Kennedy gave birth to her son Patrick Bouvier Kennedy in August of 1963, while she was First Lady. Unfortunately, he died of an infant lung ailment within two days. I too felt very sad with this story. Mrs. Kennedy had such heartaches in her personal life. She was a very strong woman that I did not realize till learning of this story. Loss of a child for a woman and mother is devastating to say the least. Thanks for your commentary. You might also enjoy one on Ida McKinley who, like many of the First Ladies, also lost several young children. so when did she die? Jacqueline Kennedy Onassis? She died on May 19, 1994. I think it is wrong to say that Joan Kennedy has suffered 3 miscarriages! She has in fact had 1 miscarriage and 2 stillbirths! 1st of June 1964 she had a stillborn son, and in 1963 she was 5 or 6 months pregnant when she lost that baby also. So far gone in a pregnancy, it is considered a stillbirth is it not? A baby is not considered stillborn if it is a live birth. Patrick lived for 2 days, so he can’t be counted as a stillbirth or a miscarriage. 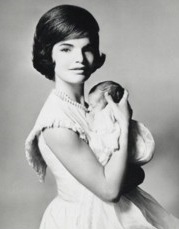 Mrs. Kennedy had a miscarriage before 1956 and daughter who was a stillborn birth in 1956. Her son Patrick was not born and did not die until 1963. I am referring to JOAN Kennedy, Jackies sister-in-law. Jackies miscarriage, stillbirth, and the death of infant Patrick, has been paid so much attention. Of course Jackie suffered a lot from all this! But JOAN, she has, I am sure, suffered just as much from her miscarriages/stillbirths as Jackie. Joan has a stillborn boy buried at the Kennedy graveplot in Brookline, Massachussets. Would it not be right to include him among the rest of the Kennedy Family, all the time Arabella is included? Thanks for you observations. Of course one must concur with perceiving both women, and all women, who endure such sad loss with an equal share of empathy. Certainly in the case of Joan Kennedy, she played a significant part in her husband’s early political success and had a substantial role in his Senate election campaign following his plane accident, just to name one incident. I think Jacqueline Kennedy receives more interest because she was a globally recognized and popular First Lady. As far as particular count of members of the Kennedy family, I’m not sure such a figure is “official” or maintained by any institution – perhaps the Kennedy President Library’s reference desk would be the place to contact. As a mom, this makes me sad. I cannot imagine losing one let alone two children this way. I can only hope John, Jackie, Arabella, John and Patrick are together now. What was the date of & where was Jackie’s 1955 miscarriage ? Years of researching this have as of yet failed to find an answer. 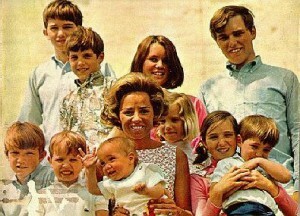 How many pregnancies did Jackie have in total ? 5 ? And how many pregnancies did Joan Kennedy have in total ? 6 or 7 ? 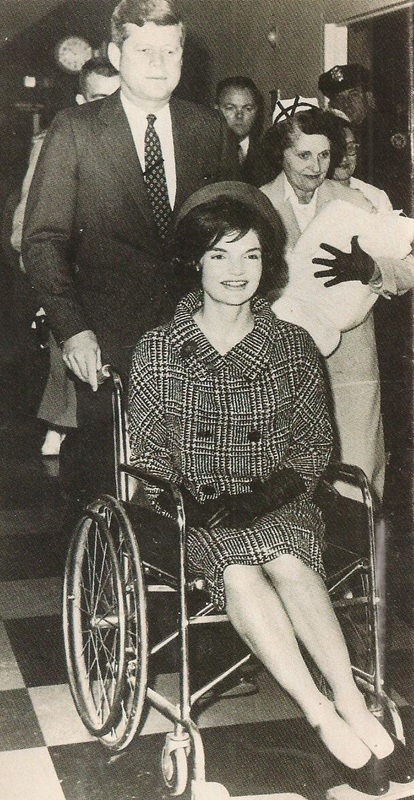 As one who researched and wrote a biography of Jacqueline Kennedy Onassis, I have never been able to determine the precise date she suffered the miscarriage of her first pregnancy, except for the fact that it occurred in 1955, sometime after her husband’s full recovery from back surgery and return to the U.S. Senate’s post-summer recess. This would place it as taking place sometime between September and December of 1955. You are correct; Mrs.Kennedy wrote, as margin notes on the manuscript of her friend, historian Arthur Scheslinger’s book of the Kennedy presidency “A Thousand Days,” that she was pregnant five times in ten years: the 1955 miscarriage, her 1956 still born daughter, her 1957 birth of her daughter, her 1960 birth of her son and her 1963 birth of her son who died in infancy. I do not know the information you request about Joan Kennedy. I hope this answer helps.